An ORI post-graduate study of tennis elbow showed that sham surgery is as effective as surgical removal of degenerate elbow tissue for relieving pain and other symptoms of this condition. One of our PhD studies involving swimmer's shoulder determined that supraspinatus tendinosis was present in 69% of swimmers tested (n=80). Swimmers who swam more than 35 kilometres per week and/or more than 20 hours per week had increased risk for supraspinatus tendinosis. Examples of reearch in the ORI include designing ways to improve arthroscopic rotator cuff repair; we employed an undersurface (inverted mattress, tension-band knotless) repair that increases footprint contact pressure and strength. The undersurface approach provides a stronger repair and can be accomplished more rapidly, minimizing operative trauma for shoulder patients. Our institute is trialing synthetic patches that may be useful for restoring shoulder function in patients with massive rotator cuff tears and we are extending the use of ultrasound in the diagnosis of shoulder pathology. Another aim is to find and investigate new materials that can be used for surgical repair. The ORI has investigated a glue secreted by an Australian burrowing frog. Trials were carried out in sheep using the frog glue in surgery to repair meniscal knee cartilage and rotator cuff tears. 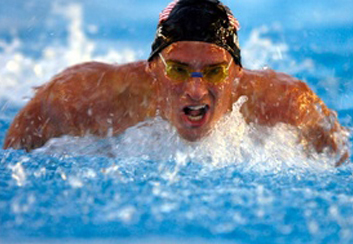 Many elite athletes have "swimmer's shoulder" but are atill encouraged to swim through their pain. The ORI carried out a large clinical outcomes study that compared rotator cuff repair patients, some who underwent open surgery for RCR and others who had arthroscopic RCR. This study showed that the arthroscopic patients had less extreme pain and earlier return of function for strength and range-of-motion measurements. We have also identified three diagnostic tests for rotator cuff repair that general practitioners can use to determine whether a rotator cuff repair is present or absent with a high degree of probability.